I’ve been a fan of the two sets of two brothers who make music as the Hudson Branch since early in their career. “Building on roots in sensitive folk-rock (think: Nick Drake), genteel early ’60s pop (echoes of Burt Bacharach) and polite indie-rock (a la the Sea and Cake), the Hudson Branch is a polished quintet comprised of guitarist-vocalist Cobey and drummer Corey Bienert and guitarist-keyboardist Jake Boll and bassist Matt Boll,” I wrote in 2009. 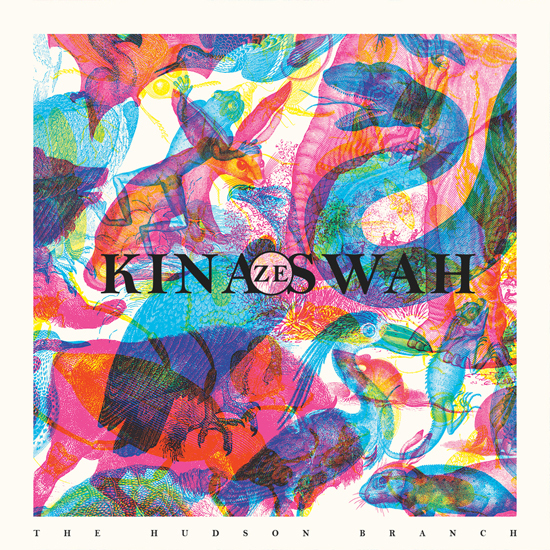 But the group has expanded beyond even that wide-ranging mix on its fourth and strongest album, the new Kina Ze Swah, crafted with their longtime collaborator, producer, and engineer Neil Strauch, who’s also worked with Iron and Wine and Andrew Bird. The band sprang from the brothers’ experiences performing music in church, but their Christian faith doesn’t cross that annoying line into proselytizing in the lyrics, while the sonic palette on the new set ranges from the poignant, minimal, and acoustic “One Hand,” to the ambient/electronic “Where Were You,” to the positively fonky “Do You Want to Dance?” Don’t ask me what that odd title means, though; maybe the band can explain when it performs its record release party at Schuba’s at 9 p.m. Saturday.